The book birthing for Turkey Street was much more painful than expected. Eighteen months later than planned, I fretted my comeback would be as welcome as another Spice Girls reunion, but the pain eased as the reviews dropped onto the mat. For now I’ve set my quill aside and focused my energies on Springtime Books, working in partnership with the force of nature who is Jo Parfitt and editor extraordinaire, Jane Dean. Together we publish authors who have something new and different to say about the expat experience. This entirely unforeseen and radical career change is a direct result of my time in Expatland and the success of my first book. 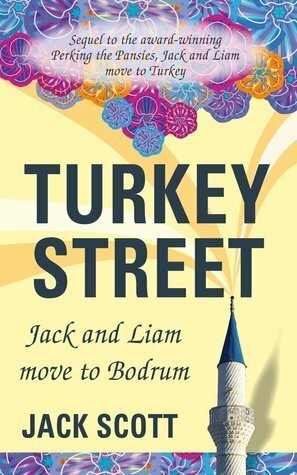 Jack Scott is giving away a copy of Turkey Street, Jack and Liam move to Bodrum, to one lucky winner on Goodreads. The competition is open to anyone from the UK, USA, Canada and Australia. But hurry, the competition ends on 14th February 2015.